After meeting the Signs By Benchmark team at the International Sign Association Sign Expo, Simple Sign Service of St. George, Utah, was anxious to work on a project together. 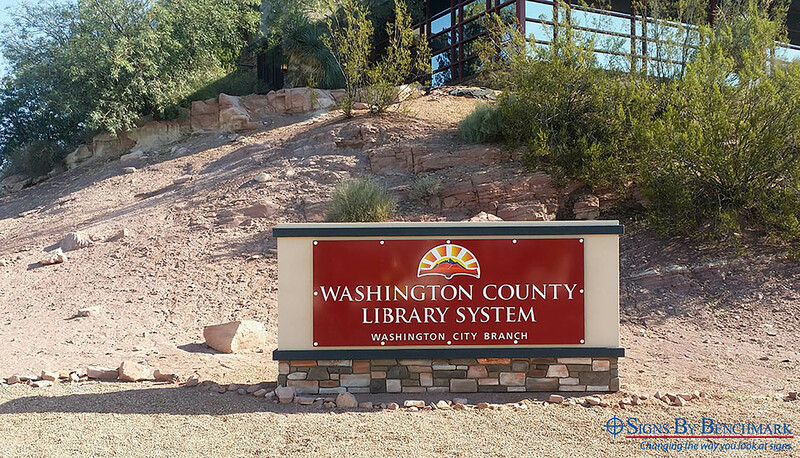 When the Washington County Library System went looking for signage for its multiple locations, the opportunity arose. The project included two, custom exterior signs, both 123” x 60” x 20” but with different finishes to match their respective buildings. The sign for the Washington County location features a two-color acrylic stucco finish with an EIFS stone on the base. 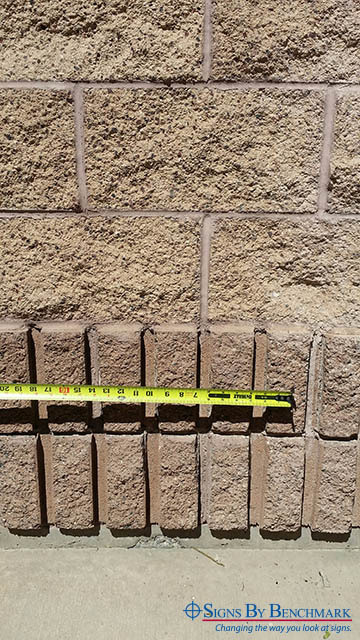 The Hurricane location sign has tan EIFS block with a bottom layer of brick to match the existing building. 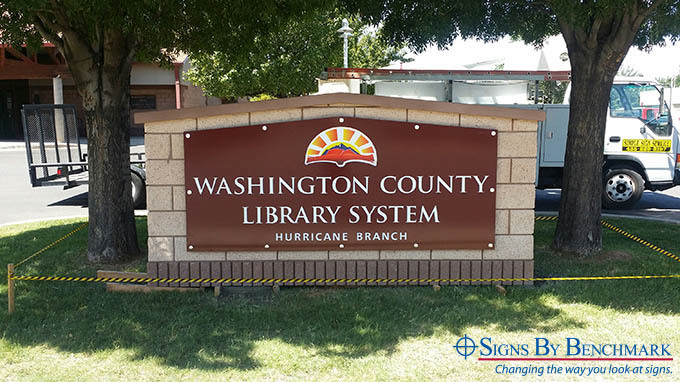 Simple Sign Service installed the copy in accordance with the library system’s branding. “The block work was spectacular. You could have taken a section of the building and compared it to the sign and you wouldn’t be able to tell the difference,” said Lyle Hindes of Simple Sign Service. Other than working around Mother Nature, installation was a piece of cake, according to Hindes. The customer was particularly pleased with having a voice during the fabrication phase, which allowed for clear expectations for a simple installation. Collaborate with Signs By Benchmark and realize the difference for yourself. Contact us at signinfo@benchmarkfoam.com or 800-658-3444 for a free quote. Click here to view other custom exterior signage.